In this year’s survey we took a closer look at trends in marketing and trends in the market. How people were selling things and what sort of things people were looking to buy. After all, the purpose of this whole exercise is to keep businesses the information and insights they need to boost sales. What marketing and advertising do you do for your business? How successfully you market your business is just as important in the good years as in the bad. In what we are led to believe is an increasingly digital world where more and more marketing activity takes place on the internet, this question in this years survey had some surprising results. Amongst respondents, the use of social media fell from 47% to 36.5%. The use of email as a marketing tool for the respondent businesses dropped from 50% to 29%. 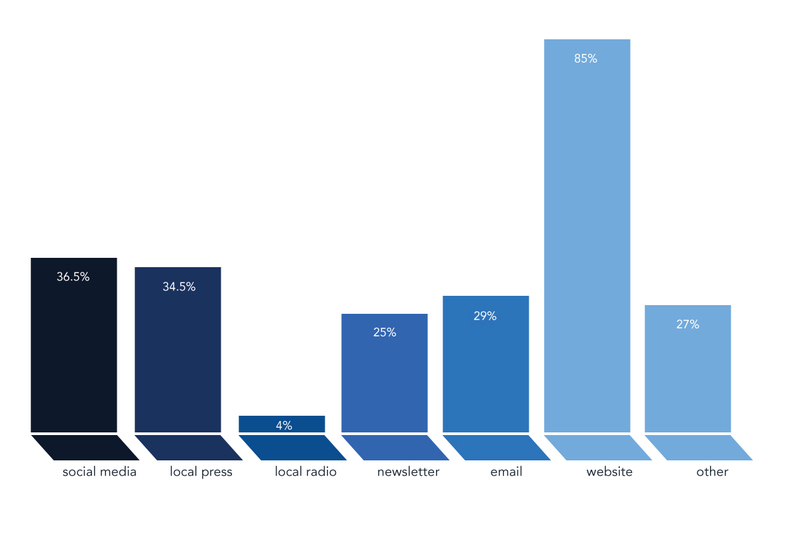 There was a rise in respondents using local press from 27% to 34.5% and a very slight increase in the use of local radio. However, it did appear that businesses that were using online marketing were doing so in a more sophisticated way with specific mention being made of Google AdWords, search engine optimisation and pay-per-click advertising. It is always useful to know about what the growing trends are in any particular market and so we asked the respondents exactly that. Which of these market trends are your customers following? 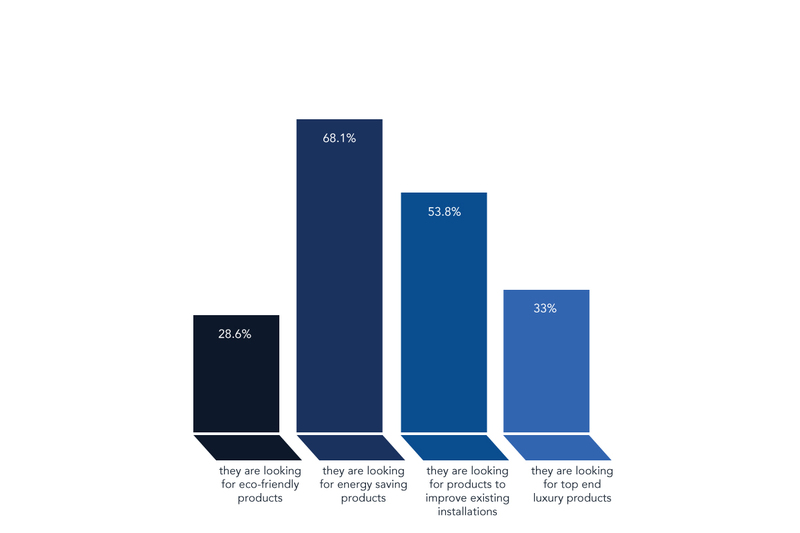 Energy saving products are clearly the most sought after of any of these market trends. In the respondent businesses who reported an extremely good year in 2013, their ‘popularity’ rose from almost 70% to just over 80%. It is obviously a growth area to watch. Retrofit products designed to improve an existing installation were next on the list with a score of just over 50%. In respondent businesses who describe most of their sales as coming from the middle of the market, this rises to over 60%. Top-end, luxury products are the third biggest trend with an industry wide score of over 30%. This, of course, rises to 55% if we look at just those businesses mostly serving the top-end of the market. However, those respondents do add that even this sector is looking for value for money. A successful luxury product may well be expensive, but it must be seen to be worth that premium price in the customer’s eyes. Finally we have what are described as eco-friendly products. 25% of the industry report customers looking for this type of product but that rises to over 36% if we look just at the businesses that reported an extremely good year in 2013. What do you think are the biggest challenges that your business will face in 2014? The survey this year has shown some large, industry wide trends but the old adage, ‘all businesses are different’ remains true. This years picture of the wet leisure industry appears to show more industry wide trends and commonalities than ever before and yet, when we look at the challenges individual businesses think they will face next year we see that the broader picture is made up of individuals operating in their own, specific business environments.